Today, July 22nd only, on Woot.com you can now buy this 可移动的厨用小橱柜 Winsome Mali Kitchen Cart for just $89.99 (regularly $170). This seems like a nice deal as this same cart is selling for $170 on Amazon with awesome reviews! Also Free Standard shipping for Amazon Prime members! 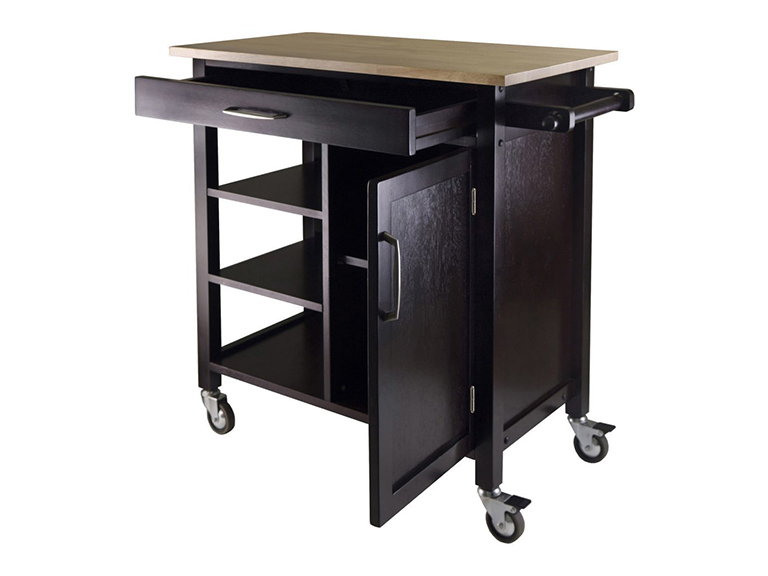 This multi-functional cart offers plenty of storage and fits perfectly in any space. The cart features a natural wood top, a drawer, three shelves plus a cabinet with a shelf inside. It also has a bar on the side to hold your kitchen towels.